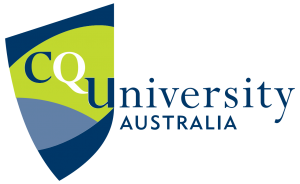 Originally founded in Rockhampton in 1967 as the Queensland Institute of Technology (QIT) Capricornia, CQUniversity was awarded full university status in 1992. Now, 25 years on, the University has more than 30 000 students across 25 locations Australia-wide. This reach has firmly established CQUniversity as Australia’s largest regional university with a proud and rich history dating back to 1889. The International Directorate at CQUniversity Australia is looking to develop a new suite of videos to assist in the marketing and recruitment of international students. The purpose is to provide a selection of short videos to promote the University as an ideal study destination and to motivate prospective international students to enquire and/or to move through their purchasing journey. The videos will be housed on CQUniversity’s website, communication templates and social media channels. In order for the end product to be high quality and full of fantastic footage it is important we worked to a very clear and well thought-out schedule especially when filming footage for all 17 videos during a few weeks timeframe. The Visual Culture team and the CQU team worked closely together to create the best approach possible to ensure we utilised time as best as possible. We had initial concept development, creation of treatment and further scripting and preparation required to make filming successful. One of the key drivers to the success of this suite of videos was the ability to get all perpective filming topics/People and clubs together over the course of our shooting schedule. Filming for this suite of video titles ran across seven days, complete with a Director/Producer who is also an expert interviewer and Talent Director. Joining him was a Director of Photography armed with a full lighting and audio kit. The editing process is where we start by editing in the best takes of each of the participants on screen. When this is pieced together, in conjunction with our storyline and key messages, we then added in overlay footage and some stock music as an ambient back drop. The videos have been shared successfully through various online video platforms and various social media sites, with a few thousand views being clocked up. The videos served a great purpose of promoting all that various CQUniversity campuses had to offer. It also attracted a lot of attention and good feedback from international students and agents.